Armando Iannucci looks beyond the stature of Dickens as a national institution and instead explores the qualities of his works, which make him one of the best British writers. 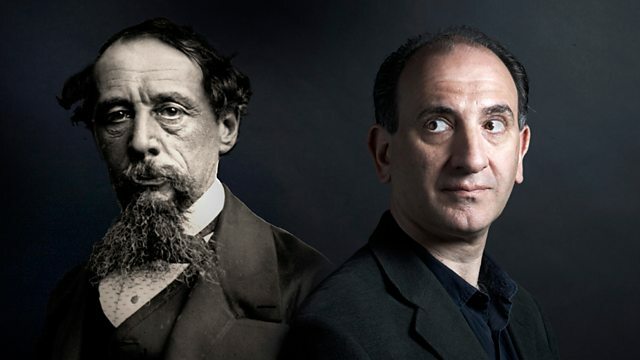 Armando Iannucci presents a personal argument in praise of the genius of Charles Dickens. Through the prism of the author's most autobiographical novel, David Copperfield, Armando looks beyond Dickens - the national institution - and instead explores the qualities of Dickens's work which still make him one of the best British writers. While Dickens is often celebrated for his powerful depictions of Victorian England and his role as a social reformer, this programme foregrounds the elements of his writing which make him worth reading, as much for what he tells us about ourselves in the twenty-first century as our ancestors in the nineteenth. Armando argues that Dickens's remarkable use of language and his extraordinary gift for creating characters make him a startlingly experimental and psychologically penetrating writer who demands not just to be adapted for television but to be read and read again.